Or: "The Highs and Lows of Football Management." It's been a harrowing week for Chester McSlappy and the Southend Crew. Shrimpers Forever continues to dominate the airwaves, 8:00 EST every Tuesday and every Thursday, right here on Co-Optimus.com. 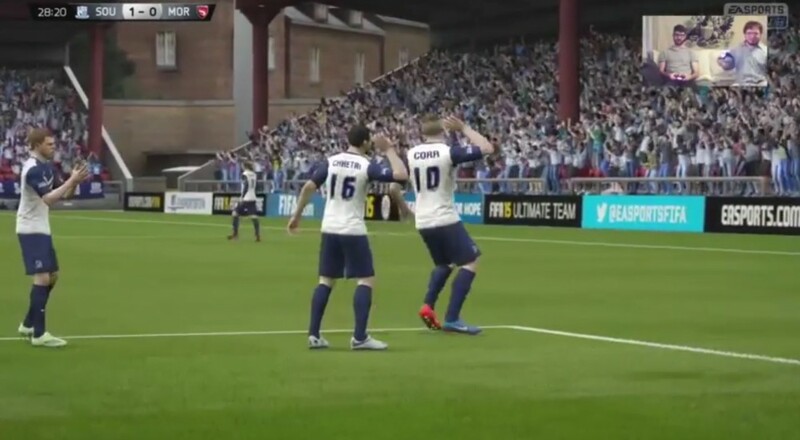 We continue to have a blast highlighting the thrills and losses in co-op manager mode for FIFA 15. Thanks so much to everybody who came to hang out with Enoch and myself in our eternal quest to bring Southend United from the pits of League 2 all the way to the top of the Premier league. Miles Weston - Striker: A young Sports Medicine Student from Southend University who figured he'd better have a backup plan if this whole "soccer fad" falls through. The Shrimpers put him on the pitch for class credits (counting for his "Exercise and Totally Bizarre Social Interaction,") instead of actual wages. He's usually thinking about midterms. Gary Deegan - Center Midfielder: Gary began sporting a sick beard at three weeks old. Dubbed "Beard King," "The Beard Father," "Beard-o," and "King McBeardsly, First of His Name," his beard only grows longer the more goals he scores. We are hoping he'll have a majestic mane eventually putting both Santa and Walt Whitman to shame. Ryan Leonard - Right Back: Leonard has defended goals for Southend since 2011, giving him an honored place as one of the team's most senior members. His proud and internet-famous father, Slenderman, can almost always be seen in the stands at any home game, surrounded by a cadre of weeping children. Alright, enough with our nonsense. Onward with the Tuesday Stream! It's been a challenging road for the Shrimpers so far, though they've taken the top place on the ladder against Portsmouth. But, our next game in the Capital One cup is to be a dangerous one. Championship team Cardiff City is an imposing foe for anyone in League 2. Speaking of which, you're about to see the most one-sided score yet. Take a look! Thursday's stream sees Morcambe back for a vengeance round, along with a few more surprises along the way. Let's just say that Han Kook Young deserves his name to be carved on the World's Longest Tourist Pier at long last. Page created in 0.4564 seconds.